Garmin Express to subscribe your Garmin GPS and to download maps. Garmin Basecamp to download points and obtain latest firm ware for your Garmin GPS. Garmin Custom Maps Allows you to upload your own maps into a Garmin hand held GPS unit. Mapsource For straight forward uploading and downloading points and tracks from Garmin GPS. QGIS Free open source geographic Information System. Shonky Maps A good free topographic map of Australia that can be uploaded to a Garmin GPS when using Mapsource software. Expert GPS allows you to import points to Garmin and other GPS units. Ozi Explorer Realtime display your position and heading against a map on your laptop or tablet. Easy GPS Free software for uploading points to your GPS receiver. Hemisphere GNSS - World wide Survey GNSS manufacturer. Carlson - Software for Land Development and Mining Professionals. GPS is used for Navigation in all types of outdoor pursuits. 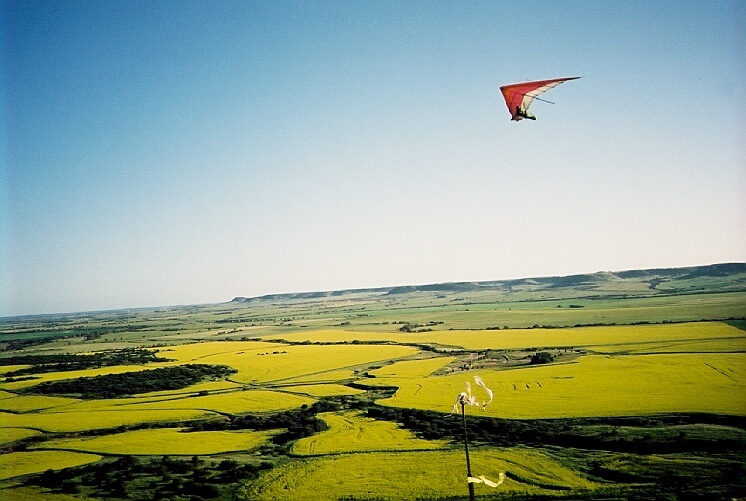 Above is a hanglider soaring a hill near Geralton WA.